The Nye County Commission on Tuesday will discuss possibly intervening or commenting on the Utilities. Inc. of Central Nevada proposed rate increases. The county could intervene at a prehearing conference that will take place Wednesday in Carson City, Nye County Department of Planning Director Darrell Lacy said. The proposed hikes include a 13.14 percent increase for all service classes including residential, commercial and irrigation services and public authority. UICN also suggested an increase of 5.7 percent, or $161,302, to its sewer division revenue requirement for a total revenue requirement of $3 million. Lacy said the biggest portion of the proposed rate increase is supposed to cover rapid infiltration basin systems in Discovery Park, a project that is yet to be done and had been requested by the Nye County Water District Governing Board in an earlier Integrated Resource Plan. 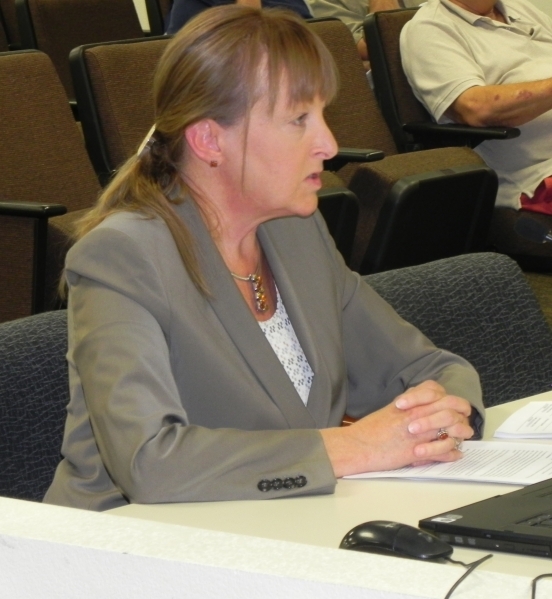 On Tuesday, the Nye County Water District Governing Board didn’t make a motion on the proposed hike that was presented by UICN Regional President Wendy Barnett. Barnett said the money is only supposed to cover projects that have been completed. Tom Oakley, director of public relations for Illinois-based parent company Utilities, Inc., said the PUCN had determined that the land stabilization was crucial to the reliable operation of the wastewater treatment plant and approved the plan that was executed by an investor. Utilities Inc., acquired the Old Willow Creek Golf Course in bankruptcy court in the summer of 2013. The golf course closed in November 2008 and was renamed Discovery Park earlier this year. Barnett outlined some of the details of the proposed hike that would adjust the company’s annual revenue for water and service rates charged to all classes of customers and other relief property. Citing the infrastructure report provided by the state of Nevada, Barnett said the state will need nearly $5.6 billion in infrastructure improvements over the next 20 years to maintain its drinking water system and conserve water resources. Capital spending makes the biggest impact on rates, and Barnett said UICN is required by law to file a rate case every three years, and last did so in December 2012. The increases are supposed to cover the cost of some community projects including Calvada North pipeline that was priced at $408,523; Willow Creek land stabilization at $597,783; and the Willow Creek property purchase at $383,526. Willow Creek has been renamed Discovery Park, said Tom Oakley, director of public relations for Illinois-based parent company Utilities, Inc. Groundwater management committee member Greg Dann said he was in favor of the proposed hike. Others were less thrilled with an announcement. Commissioner Dan Schinhofen said next week, he would have an item on the agenda to oppose a rate increase. “I’m a ratepayer for this company and our rates have been doubled in the last 10 years already,” he said. After some commissioners questioned whether the proposed increases are meant to support any projects other than utility infrastructure, Barnett said the money would cover the 160 acres of a land stabilization project that was completed last month.